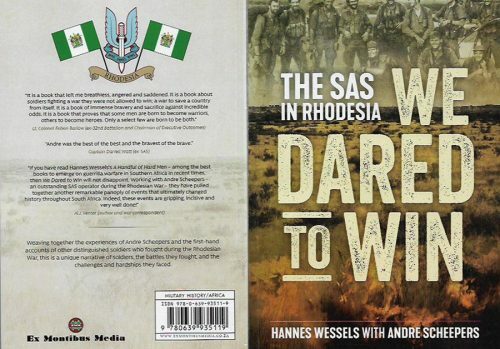 Hannes Wessels’ latest book ‘We Dared to Win’ is a book no serious student of war in Africa should be without. It chronicles the final years of a very special clandestine military unit, and a haemorrhaging and dying country. It is a book that left me breathless, angered and saddened. It is a book about soldiers fighting a war they were not allowed to win; a war to save a country from itself. 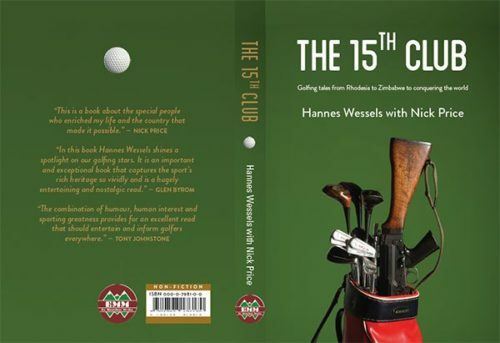 It is a book of immense bravery and sacrifice against incredible odds. It is a book that proves that some men are born to become warriors, others to become heroes. Only a select few are born to be both. Many hero-warriors were born in Rhodesia (now Zimbabwe), a small African country the world chose to castigate. Some went on to become part of a small elite unit of men who dared to win. Andre Scheepers and his colleagues in the Rhodesian Special Air Service (SAS) were such men. The country faced an armed onslaught from foreign trained and supported ‘liberation movements’ that enjoyed safe haven in hostile neighbouring countries, a vicious and misleading propaganda onslaught spearheaded by the West, a hypocritical United Nations who sought to punish the country for protecting its citizens and defending its borders from armed aggression, and a military supply chain from the East. 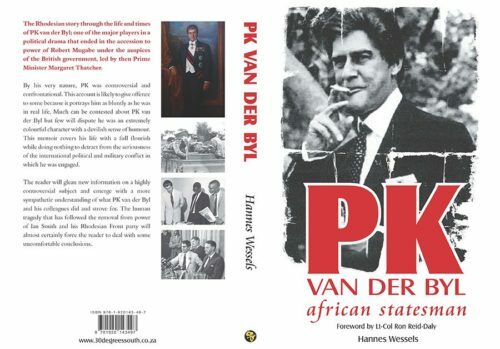 It was also a country that suffered duplicitous interference by South Africa’s politicians and their ‘Détente debacle’. This was a war, not between races as the media deceptively popularised it, but a war between clashing and very diverse ideologies. It was a time long before GPS, UAVs, precision-guided weapons, body armour and kneepads, and overwhelming air support. It was a time when the winds of change blowing across Africa were becoming violent hurricanes. 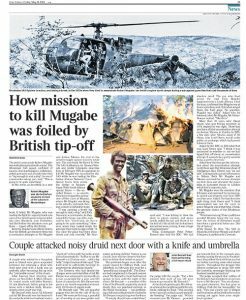 Standing between these threats and the developing chaos and murderous bloodletting of armed insurgents from both ZANLA and ZIPRA—supported by Mozambique’s FRELIMO and Zambia’s ZDF—were groups of young but battle-hardened soldiers, men from the Rhodesian African Rifles (RAR) and the Rhodesian Light infantry (RLI). Sometimes fighting alongside these fine men but usually far to their front were a handful of hard men, the men from the Rhodesian SAS. They were men who dared to win. They were men who launched hair-raising attacks and raids deep into enemy territory with very limited equipment and support. Their firefights were brutal, deadly and often at very close range. The smell of victory was often marred with great sadness as friends were killed in action. It was a time when young boys entered the smoke of battle and emerged as old men, sometimes parachuting into deadly firefights two or three times a day, a feat yet to be matched by any armed force. It was a time when men earned respect through their sheer bravery, tenacity, and dedication to country and mission…It was a time when men remained calm when staring death in the face…A time when men lived in the shadow of death, and yet found time to laugh when death came knocking. The cross-border raids, ambushes, attacks, and killing are recounted matter-of-fact with no hint of arrogance or smugness. However, there is an underlying empathy and respect for the enemy, especially when the enemy fought with dogged determination. Tactics, techniques, and procedures litter the pages as does the importance of motivation and inclusive leadership, highlighting the value of aggressive resourcefulness and the competence of the SAS troopers, NCOs and officers. The value of a tough selection, and ardent and focussed training, provides a valuable glimpse into the operational successes of this small band of men. So too does respect for the enemy who at times fought for their own survival, and for what they believed in. As their breathless and adrenaline-fuelled war intensified, so too did allegations generated to cast suspicion on the real soldiers and their commanders. Foreign intelligence penetration at senior levels of the Rhodesian armed forces and the Central Intelligence Organisation also led to several compromised operations. This was a time when men like Andre Scheepers and his fellow soldiers made their mark on the history of a dying country. ‘We Dared to Win’ is an unapologetic account of his transition from athletic schoolboy to that of a highly-respected, militarily-gifted Rhodesian SAS soldier. His story is interspersed with the stories of others who lived through and witnessed the extraordinary operations they partook in. It is a book of great sadness as these men gave so much for their country only to lose it in the end—not through enemy action but through the betrayal of those they trusted and believed in. 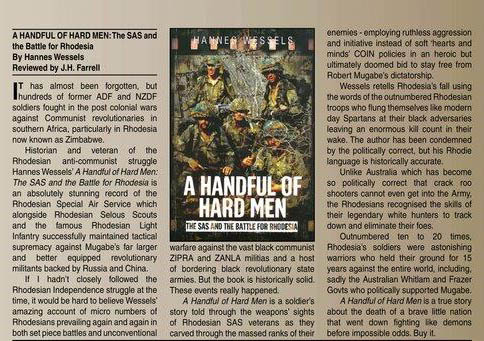 ‘We Dared to Win’ is a must-read for soldiers and scholars who wish to gain a better understanding of the Rhodesian war. 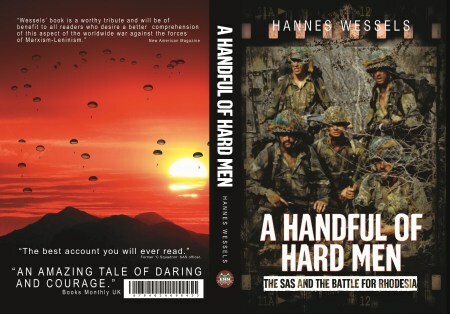 It is the perfect companion book to stand alongside Hannes Wessels’ previous book on the Rhodesian SAS, ‘A Handful of Hard Men’.